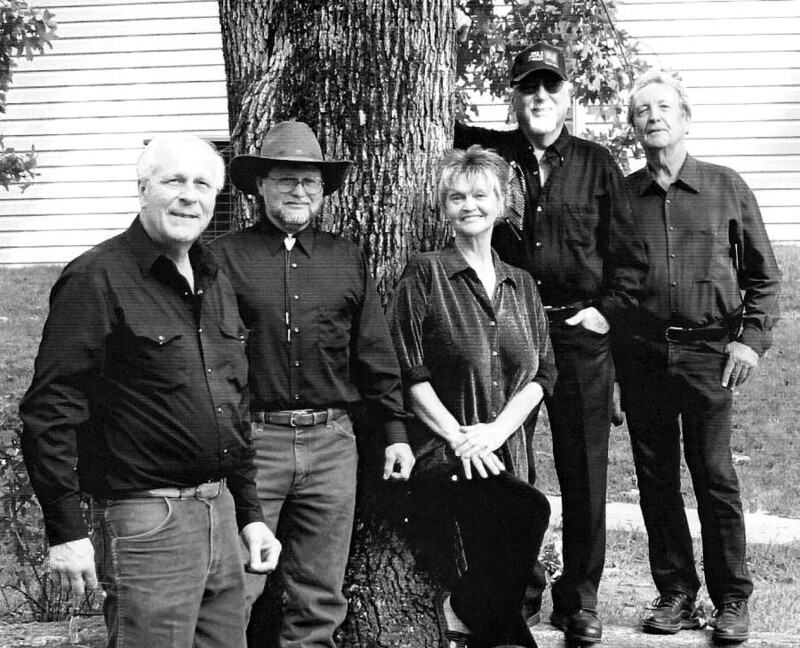 July 15, 2009 -- Jeannie and the Guys, featuring Sonny Burgess, will be performing at KASU’s next Blue Monday-Paragould on Monday, July 20. Blue Monday Paragould is held at the Red Goose Deli, 117 N. Pruett Street, downtown Paragould. The concert begins at 7 p.m. and is free and open to the public, but KASU will pass the hat to pay the musicians. Vocalist/guitarist Sonny Burgess and lead female vocalist/drummer Jean Hendrix formed Jeannie and the Guys at the Swifton Community Center. The band has had various members over the years, including J. R. Rogers, Dale Tuner, Tony Lewis, Luke Stroud, Jon Raney, Mark Grady, and Gary Grady. The five-piece band performs in venues like the Silver Moon in Newport, People Helping People in Amagon, the Country Magic Theater in Judsonia, and Main Street Pizza in Jonesboro. Jean Hendrix is the lead female vocalist and drummer. She performs rock and Patsy Cline tunes equally well, while laying down a great rhythm track for the guys. Marcus Grady, guitarist and singer, was a member of the Grady-Jefford Band which formed in the ‘70s and ‘80s. Doug Greeno is vocalist and bass player for Jeannie and the Guys. Doug Greeno and Sonny Burgess teamed up in the 1960s with the Kings IV band. Greeno performed with the Distance Band at the legendary Bob King's Capri in Swifton for twelve years. Sonny Burgess, vocalist and guitarist, is a member of the Legendary Pacers and is also a radio personality and co-host, along with June Taylor, of "We Wanna Boogie," presented Sunday evenings from 5-7 p.m. on KASU 91.9 FM. Listen to five sample tracks of music from Jeannie and the Guys at MySpace music. For more information about Blue Monday-Paragould, contact KASU's Todd Rutledge, development director, at 870) 972-2807.